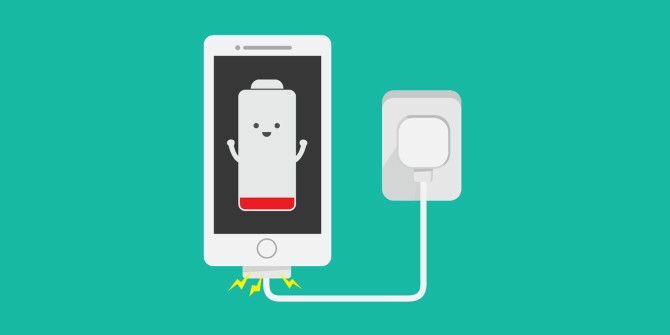 We tend to fret over battery life as if it were the most important aspect of our devices (phones, tablets, laptops, etc), and while battery life is important, we often forget — or take for granted — that these batteries are essentially useless without their respective chargers. I’m not saying we shouldn’t bother extending the battery lifespan of our devices How a Battery Works and 3 Ways You Can Ruin It How a Battery Works and 3 Ways You Can Ruin It The modern battery is featured in so many of our favourite technologies that you could almost be forgiven for not spending time learning about their workings. Read More . We definitely should! Those tips are important. All I’m saying is that we ought to take just as good, if not better, care of our chargers. Always unplug by the head — Never grab the charger by its cord and try to unplug it that way. It may work, and it may seem like you aren’t doing any damage, but over time the tension will cause irreparable internal damage. Keep it dry — And keep it away from sources of water. Don’t charge in your kitchen, don’t charge in your bathroom, and always clean spills right away. Keep it cool — Extreme temperatures, both hot and cold, can damage chargers. Try not to leave chargers on carpet or rug, especially in hot environments. When transporting during winter, insulate it. Keep it tucked away — When you least expect it, a stray charger can turn into a tripwire. Not only can this cause damage to the charger itself (e.g. tear the cord, break the plug head), it can seriously hurt you! Use a surge protector — You never know when an electrical surge might hit, and if the surge is bad enough, it can damage or destroy electronic components Do You Really Need a Surge Protector? Do You Really Need a Surge Protector? A surge protector is not the same thing as a power strip! Here's how they're different and why you need surge protectors instead, as well as how to choose a good one. Read More . Don’t risk it, especially during storms or in buildings with poorly designed circuits. Then again, once the world moves to wireless charging for everything What You Need to Know About Wireless Charging What You Need to Know About Wireless Charging Until our devices offer week-long battery life, charging on the go will remain a reality for us all. Read More , we won’t have to worry about this anymore. Until then, don’t neglect your chargers! Know of any other tips for keeping device chargers in tip-top shape? Do you take as good care of your chargers as your batteries? Share with us in a comment below! Disney+, Is IPTV Legal, and Office Alternatives for macOSIs Apple’s macOS Rebrand More Than Just a Name Change? Crumbs, you must be short on content today! And remember, when you've finished driving your car, always switch the engine off. You'd think this stuff would be common sense right? But I know way too many people who haven't the first clue about this stuff! Sorry that you didn't find this post useful, Andy. Please check out some of our other articles. I'm sure you'll find something worthwhile!